Find more happy in every day! Join Vincent Vincent – author of the internationally successful “You Are A Unicorn” – on a fun, journaling journey to help you find more happiness in every day. 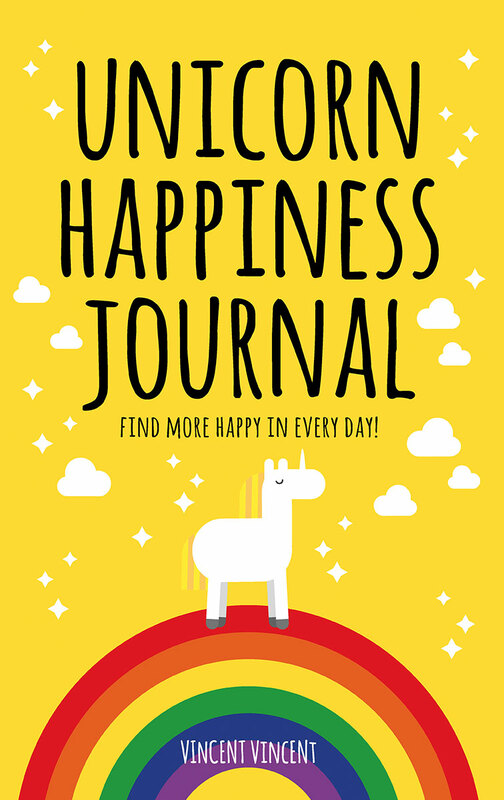 The perfect companion for “How To Be Unicorn Happy” (Vincent’s first book published on Kindle), the Unicorn Happiness Journal is packed with inspirational thoughts and prompts to help you find more happiness through writing, drawing, list-making and more!